Nigeria’s Senate President, Mr Bukola Saraki, has travelled to London, United Kingdom, to meet with President Muhammadu Buhari. Mr Buhari is in London on vacation and also for medical check-up. He travelled to the city on January 19, 2017, and was expected to return to Nigeria on Sunday, February 5, 2017, but wrote the National Assembly seeking for an extension. 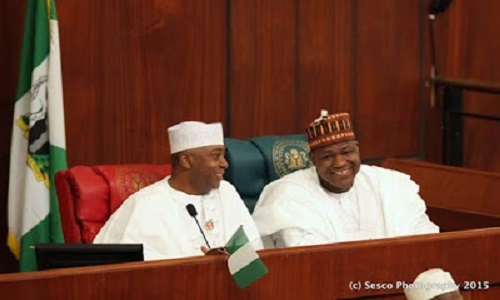 Mr Saraki, according to reports, will have a meeting with the President this evening. He was said to have left the shores of Nigeria on Wednesday morning. He will be joined at the meeting by Speaker of the House of Representatives, Mr Yakubu Dogara as well as the Deputy Speaker, Mr Lasun Yusuf and the Senate Leader, Mr Ahmed Lawan. Nigerians have not heard from President Buhari since he left for vacation, but was reported to have spoken to President Donald Trump of the United States on Monday. Few days ago, two chieftains of the ruling All Progressives Congress (APC), Mr Bola Tinubu and Mr Bisi Akande, were said to have visited the President in London.